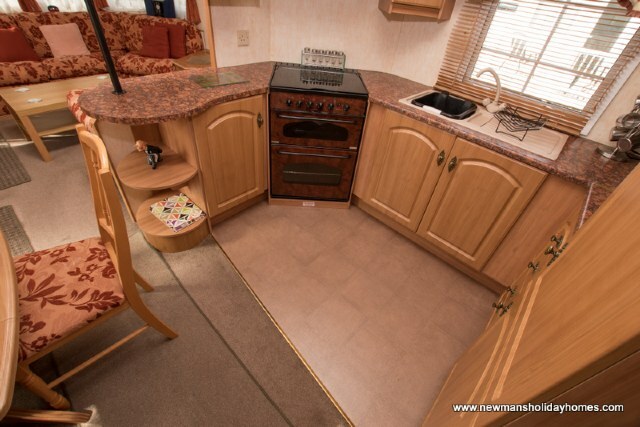 D14 is a smart and comfortable Willerby Granada 12ft wide Prestige 3 bedroom holiday home. 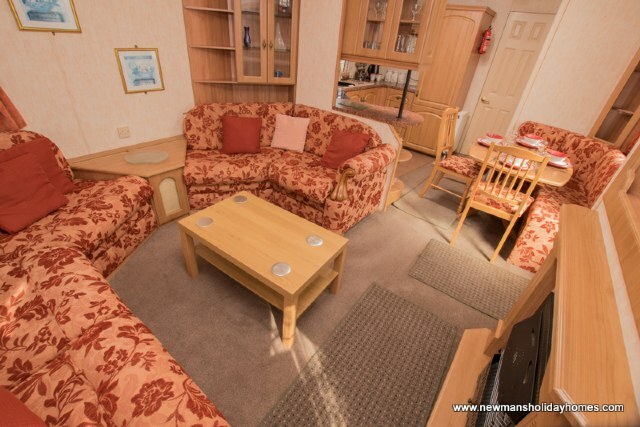 Benefiting from a fenced garden, good location close to the fishing lake, well equipped and modern kitchen, fridge freezer, veranda, central heating, double glazing, lounge with scatter cushions and a color TV & DVD, 1 double bed and two twin bedroom..
DOG FRIENDLY; the owner of D14 are happy to allow well trained dogs in this caravan to a maximum of two. If you require and further information please call 01395 224066. 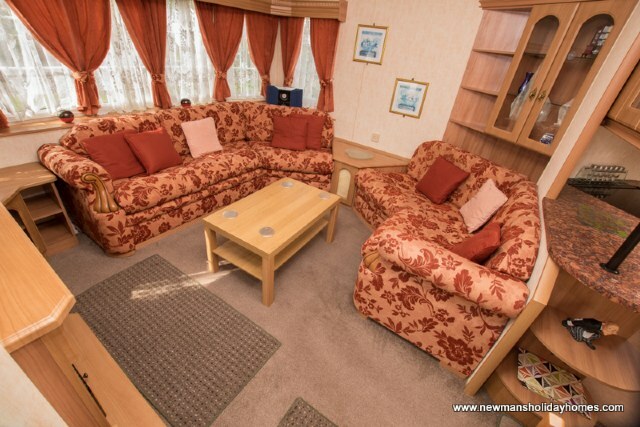 LOUNGE: This holiday home benefits from a modern comfortable lounge fitted with comfortable seating and a number of scatter cushions, color TV, DVD, Free view and a modern gas fire. 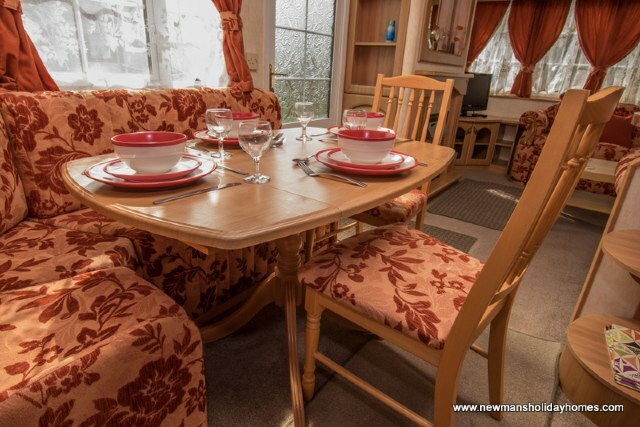 KITCHEN & DINING AREA; Modern fitted kitchen furnished to a high standard with full size fridge freezer, gas hob / cooker, and microwave. The dining area is comfortable with fixed seating and additional stools. 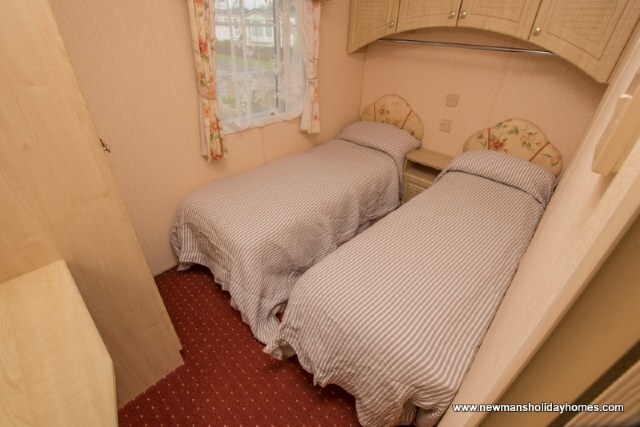 BEDROOMS; Three bedrooms, one double bedroom with fitted wardrobe and vanity area. 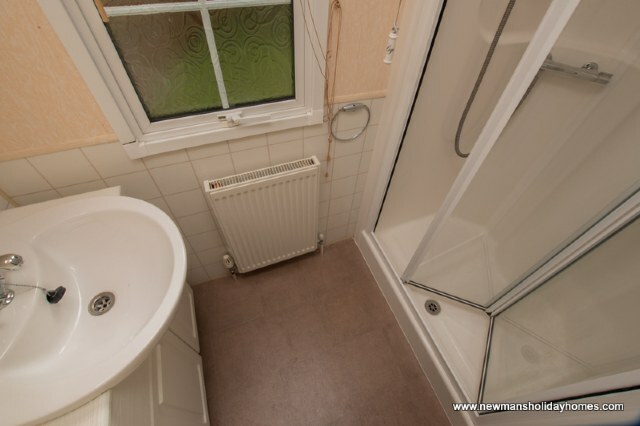 Two twin bedrooms with small wardrobe & radiator. The lounge seating has been fitted with an occasional pull out bed for additional guests. Quilts and pillow are supplied but if you require linen, this can be supplied at an additional cost. 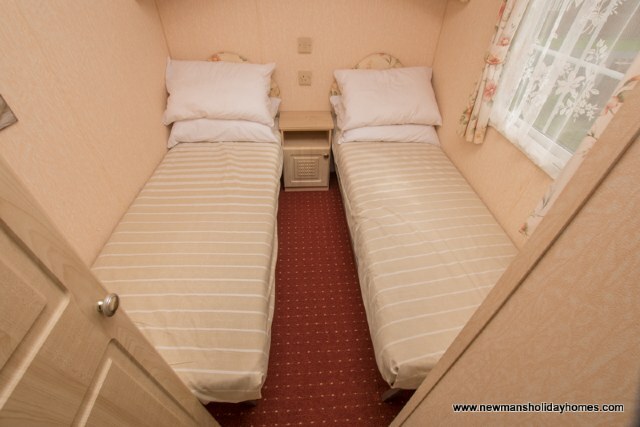 SLEEPING CAPACITY; Please note that the owner of D14 has requested a total sleeping capacity of no more than eight guests. 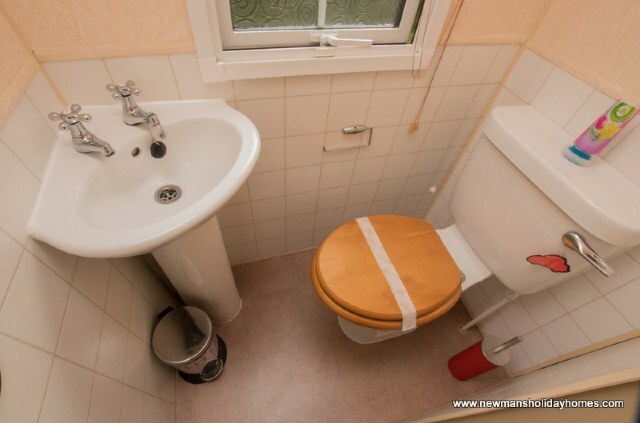 BATHROOM & TOILET; Shower room fitted with full size shower which can also be used as a toddles bath, toilet and washbasin. 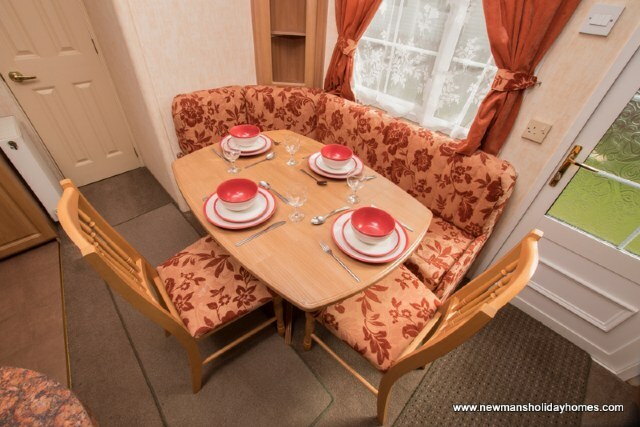 HEATING; Gas fire in the lounge and full domestic central heating fitted throughout the caravan. 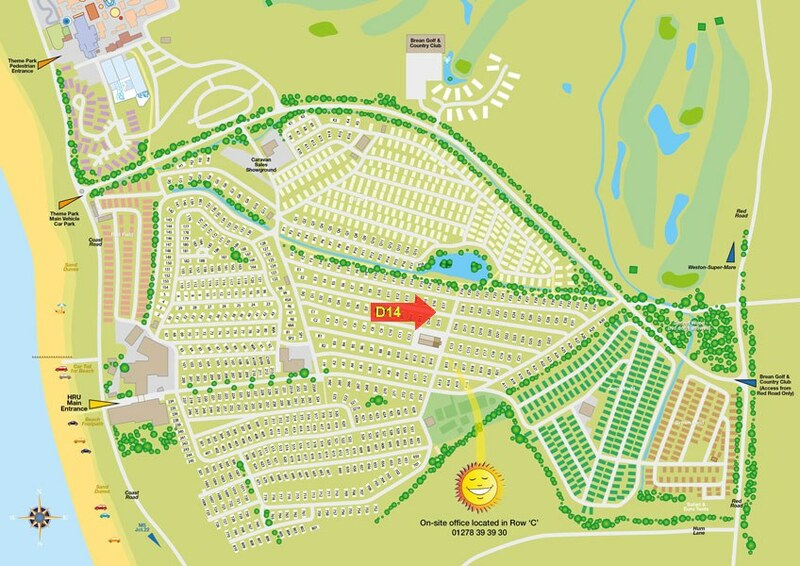 DISTANCE TO MAIN AMENITIES; approx 5 to 7 minutes walk. 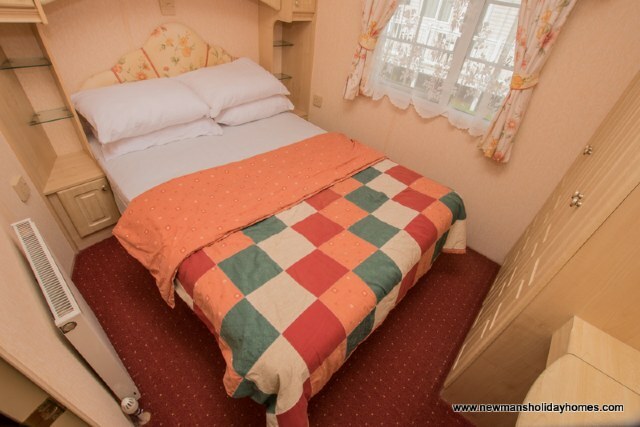 NEAREST CARAVANS FOR GROUP BOOKINGS; To find the closest caravans for group bookings please click Browse Caravans at Holiday resort unity, then select D1- D20 from the Park Area list and click Search.